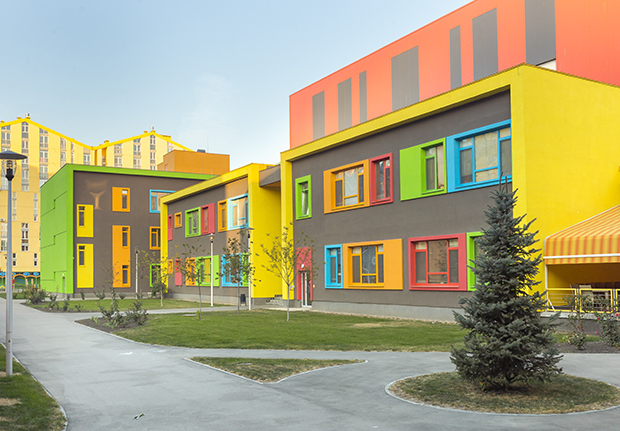 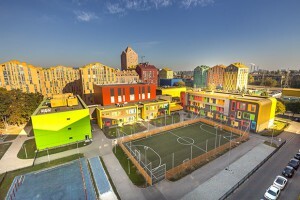 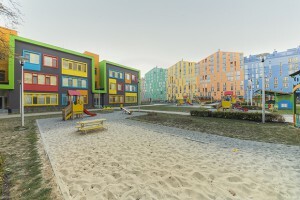 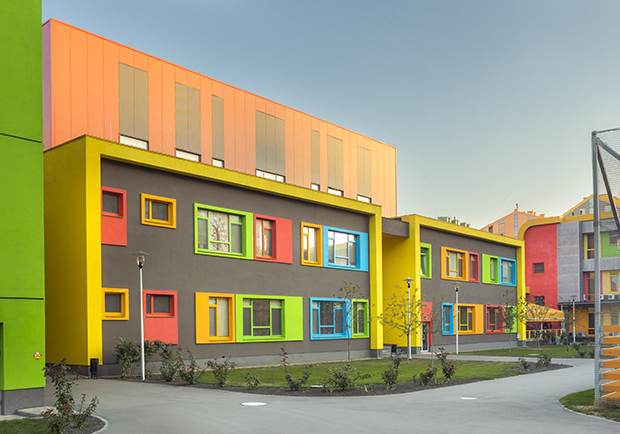 The Children Educational Ccenter is part of the “Comfort Town”, a new residential complex in Kyiv built in 2009-2015 for 12.937 residents. 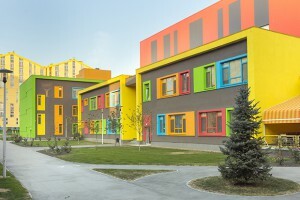 The building is composed by three blocks linked at the ground floor. 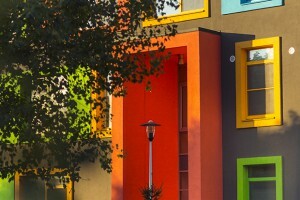 Each of them has a different height that make them recognizable. 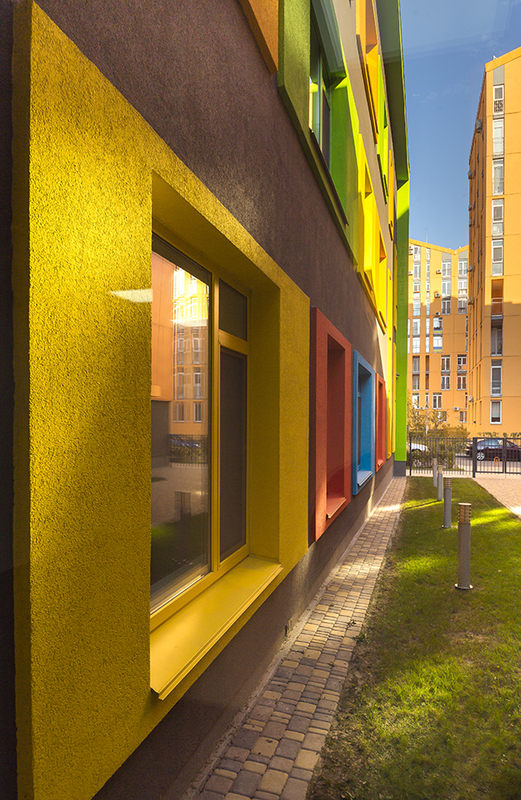 The use of the color accentuates their singularity: the central block is distinguishable through the red box on the top, while the other two part are defined by the green and the yellow envelopes . 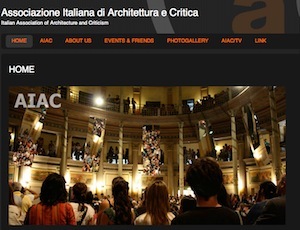 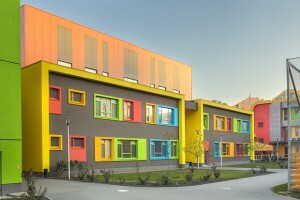 The facade is the element that unifies the intervention because is the same for the entire building. 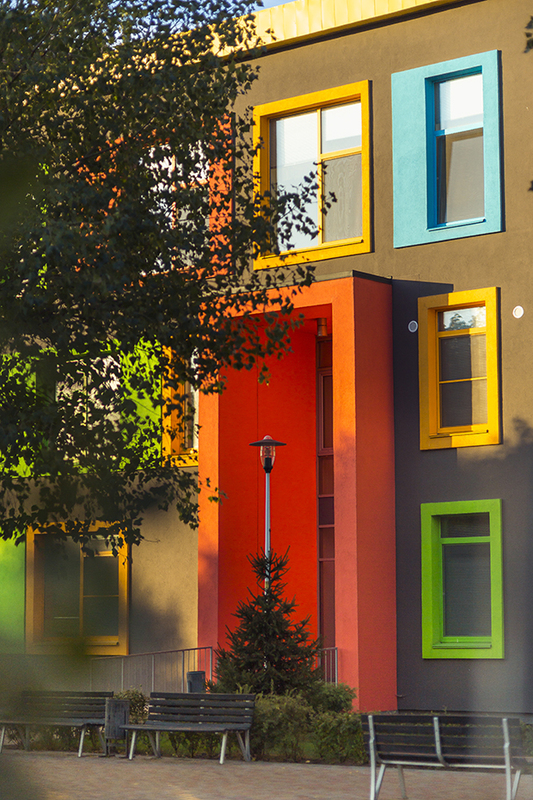 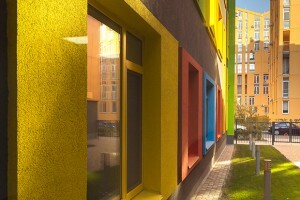 It is composed by a series of squared windows with different colorful frames. 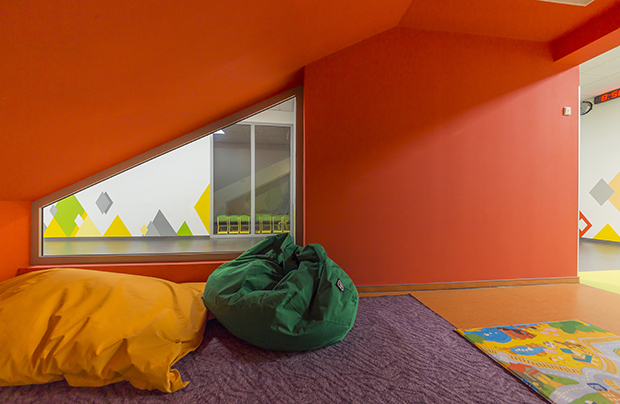 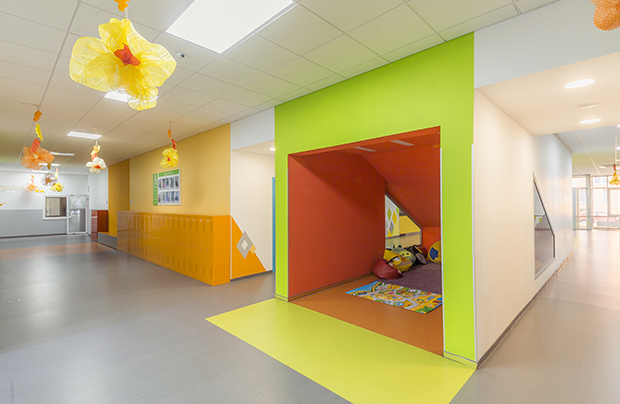 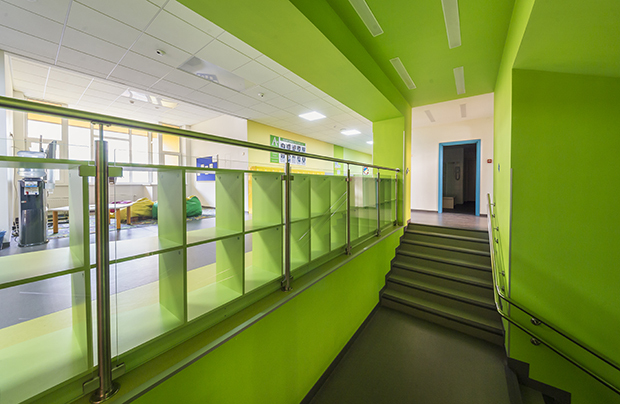 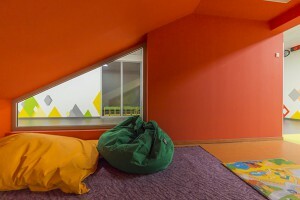 Also the interior spaces are characterized by a large use of color to remark specific areas, doorways etc. Each block includes a specific function: a Kindergarten, an Elementary School and an Extracurricular center. 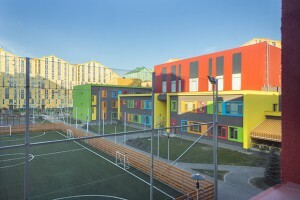 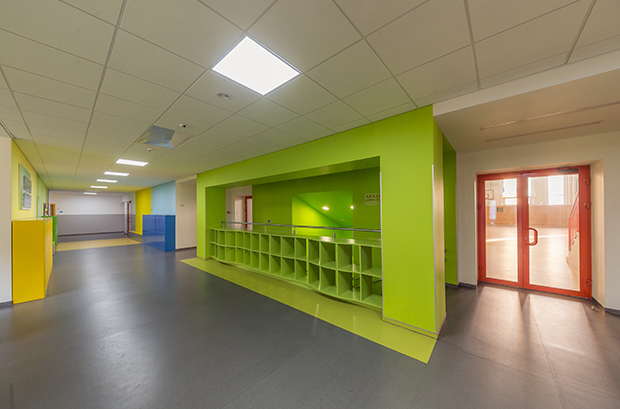 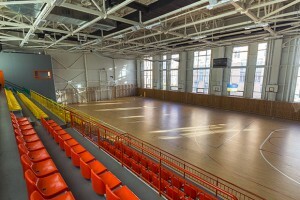 In particular, the Extracurricular center accommodates: a dance school, a foreign languages courses, a music school, a Drama studio, a Speech therapist center, an early development center (1-3 years), an art studio, an area for gymnastics, taekwondo, karate, basketball, football, roller sports and chess. 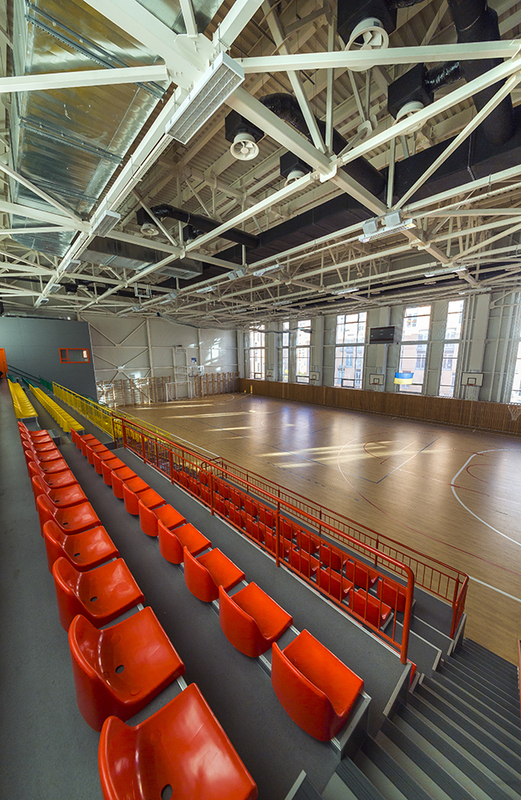 A large common sports area, an auditorium and a food unit complete the facilities offered by the center.